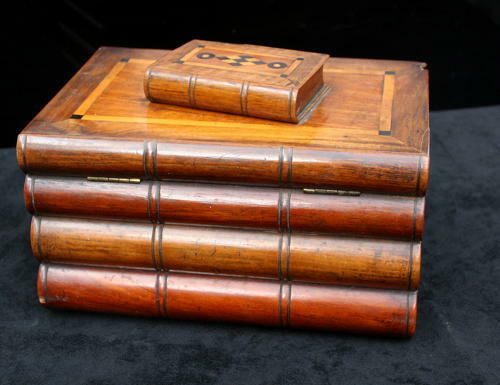 An Interesting English Victorian Period Twin Compartment Tea Caddy disguised as a Pile of Books with a puzzle opening mechanism. This a nice treen caddy and suit any book box collection. There are 3 chips of missing timber, which could be restored shown in images, two on the top book box the other on the corner of the main pile of books.